Report of a 16-year-old male hit by a vehicle by the north entrance. Report of a rollover crash with the vehicle in the median and at least one person out of the car. Crew on arrival reports one vehicle on its side; out checking. Report of a vehicle vs pedestrian near Raymond Ellis Elementary School. Report of a car fire, possibly up closer to Tuscany Drive. Streamwood E31 crew on arrival reports a fully-involved car fire with Bartlett FPD already on the scene. Report of an apartment fire. Connected buildings. BC19 reports one line led out, ladder to the roof with a fire in the coclloft of a 3-story abandoned building. BC19 reports primary search underway, ground ladder side A and Side D toward the rear, main to the roof, two lines led out, and all companies working. Report of a gas leak investigation. E35 crew on arrival reports that a large gas main was hit; requesting a Level I Hazmat by 10:20 a.m. Dropping a line by 10:21 a.m.
Shutting down Elston from Damen to Fullerton. Report of two people shot on outbound Eisenhower Expressway. Both victims traveling in a white Jeep Liberty SUV stopped near Laramie and Flournoy. E113 requests a second ambulance by 5:55 a.m. A10 assigned. One patient transported in A23 to Stroger with E113 following about 6:09 a.m.
Report of three semi-trailer trucks on fire. Report of a car crash into Jimmy John's. MABAS Division 24 Box Alarm on Box #1 for a structure fire (house fire) on orders of Harvey 31. Reported as 125 East 153rd Street, actually two structures west of Greater Grace Refuge Church -- possibly 121 East 153rd St, Harvey. Fully-involved house fire with fire through the entire roof of a 2-story frame. Exposure on the D Side protected by elevated master stream. Exposure building also a 2-story frame. Firefigthers working on RED fireground. Phoenix taking a pass on this fire. Crash with injuries reported as crash with entrapment. Possible medical issued before driver of an eastbound SUV crossed into oncoming lanes and crashed into a parked car on the opposite side of Northwest Highway. The driver possibly experienced a medical issue, which caused his vehicle to leave the roadway and crash into a parked car. E46 crew on arrival reports a fire in a 1 1/2-story frame. BC23 reports two lines on the fire in the rear of the structure, two holes in the roof, three ladders in place Side B and Side C, primary search underway by 6:31 p.m.
BC23 reports primary search is negative and requests outside Edison by 6:35 p.m.
E46 crew reports a downed charge power line on Side C at 6:35 p.m. Secondary searches complete and negative, conducting final searches and chasing hot spots. Semi-trailer truck vs car crash. VIDEO: Rollover SUV Crash at Palatine Rd and Kennicott Dr, Arlington Heights. Report of a rollover crash with injuries, and two people trapped. Report that bystanders are helping people out of the vehicle, and that one person is out of the vehicle, and one person is still in the vehicle by 6:32 p.m. Crew on arrival reports no entrapment. Report of a car vs utility pole with possible entrapment. Crew on arrival reports no entrapment but car is on the tracks. Multiple injury crash on the outbound Kennedy Expressway at Armitage. E14 crew requests an EMS Plan 1. Ambulances entering on Damen and heading south with southbound (outbound) traffic blocked. All lanes now blocked; crash was located about 50 yards west of Armitage exit with only one lane initially open. Emergency vehicles assigned to enter at Armitage exit by 8:01 a.m.
EMS Plan 1 secured at 8:16 a.m. on orders of BC17. TRUCK(S): T28 T ?? TL ?? Hit-and Run van vs pedestrian with injuries. The offending vehicle was described as an older model white conversion van with damage to the front passenger-side hood. The offending driver was described as a male/white 45-years-old, heavy set and balding. The offender hit the victim with his vehicle when the victim attempted to stop the vehicle. The vehicle was last seen southbound on Green Bay Road from Washington St.
Report of a fire in a 2-story brick apartment building. E101 crew on arrival reports a fire on the second floor. BC19 reports two lines on the fire; fire is out on second floor, fire still going in the ceiling of the first floor, primary complete and negative, secondary search underway. Report of a ranch house fire. E71 on arrival reports a fire and requests an ambulance to Side A.
BC9 reports fire is out by 5:09 p.m. -- holding SQD2 and 2-7-2. BC9 requests a second ambulance by 5:12 p.m.
EMS: A46 FC ?? STANDBY A ?? Report of a train car fire. Fire is out with pump cans; no smoke conditions. MABAS Division 21 Box Alarm 2nd Level on Box #35 for a restaurant fire at 6:41 a.m.
Report of a fire that started in the kitchen. No injuries were reported; kitchen staff were still on scene when fire was reported. Report of auto fires at 747 North Pine, but E96 crew reports they have a house fire near an auto fire. First engine, E96, reports they're in the alley. Auto fire assigned to E113. BC18 reports A 2-1/2-story frame, 25x40 with a small fire on the exterior. BC18 reports the exterior fire is out, and holds up the working fire response by 6:58 a.m.
Motorcycle crash with serious injuries. E31 crew reports one person down with a motorcycle on the ground by 12:56 am. MABAS Division 4 Box Alarm on Box #26-53 for a pickup truck crash into the side of a two-story house. Motorcycle crash with injuries. Report a crash involving a gray SUV and a motorcycle on Rand Road in front of Best Buy. Crew on arrival reports they have an alley garage. E102 crew on arrival report a 5-story building with nothing showing. Crew on arrival reports fire on the third floor. BC9 reports a 4+1, primary underway, two laddrs to the roof, ladder on Side A, two lines on the fire by 4:28 p.m.
BC9 reports making progress by 4:30 p.m.
Fire out by 4:32 p.m.
EMS Plan 1 at 4:44 p.m. on orders of 2-2-2. TRUCK(S): T12 T47 TL ?? E116 crew on arrival reports a 2-story ordinary with smoke in the rear. BC6 reports a 2-story ordinary, 25x60 with a fire on the first floor rear into the rear porches. E116 crew has a line on the fire, T51 main to the roof, and primary search in progress by 3:46 p.m.
BC6 reports T51 has a hole in the roof, access to an alley, exposure building on the B side with no communication by 3:48 p.m.
Main to the roof, ladder to the D side, two holes in the roof, primary search underway by 3:51 p.m.
Report of a pin-in crash with injuries with downed pole and a possible garage fire. E5 crew on arrival reports a patient in a car, with a broken pole and arcing near a garage by 1:43 p.m. Requesting ComEd to the scene. Patient removed from the vehicle by 1:48 p.m. Hazard remains with electric wires on a garage. E42 crew on arrival reports a 20-story high-rise ordinary with nothing showing. BC1 reports he's in the Barnes & Noble and finds nothing, looking for a call back. No answer on call back. ENGINE(S): E42 E13 E ?? Report of a smoke on the second floor in the engineer's room in a high-rise building. TL1 crew on arrival reports nothing showing from a 10-story hotel. BC1 reports fire investigation team is checking out an odor of smoke by 9:34 a.m.
BC22 reports two 1-1/2-story frames burning. E115 assigned to back down 110th Pl from the west. Three lines on the fire in a 1 1/2-story 25x30 and a main to the roof, ladders on Side A and Side C by 3:02 a.m. Fire is in the attic. Exposure problems; primary and secondary search is negative by 3:04 a.m.
Water on the fire; making progress by 3:10 a.m.
Building open and dangerous, and rear stairs are burnt out. Still and Box struck out at 3:17 a.m. on orders of 225. Activated Fire Alarm response to an apartment building. Crew on arrival reports heavy smoke showing from the first floor of an apartment building. Fire extinguished by 1:00 a.m.
ENGINE(S): E7 E10 E ?? TRUCK(S): T5 T9 TL ?? MABAS Division 20 Box Alarm on Box #199 for a crash with multiple injuries. Report of a construction Bobcat on fire three houses east of Old McHenry Rd -- parked on the driveway with no exposures. Crews approaching report smoke header showing. Report of a power line down in the backyard with a tree on fire. E4 crew reports a primary line up against a tree and smoking at 9:03 a.m. Requesting ComEd to the scene. 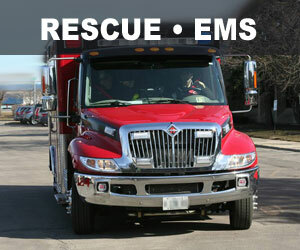 TL12 requests a second and third ambulance at 8:47 a.m.
Report of a house fire with a woman trapped. Still and Box on report of a woman trapped. Crew on arrival reports nothing showing from a 2-story frame. Crews report woman is not trapped; request paramedics for evaluation. Struck out by 1:16 a.m.
E29 crew on arrival reports a garage fire. Two lines led out by 11:36 a.m. Working Fire response by 11:37 a.m.
25x75 house attached to a 2-story garage and another garage. Two lines led out. TRUCK(S): T4 T8 TL ?? EMS: A35 FC457 STANDBY A ?? Report of a person hit by a vehicle by Home Depot. Crew on arrival reports a 2-1/2-story ordinary, 25x40 with back porches burning. BC19 reports a 2-1/2-story frame, 25x40 with the whole back end going at 4:35 a.m.
Engine hit the back end with a deck gun by 4:37 a.m.
SQD snorkel positioned in a vacant lot to the north. Protecting an exposure at the back of the house. Exterior fire knocked down by 4:39 a.m.
Report of a truck crash with entrapment. Report of a pallet yard fire. E26 crew northbound on Damen requests a Full Still at 10:56 p.m.
BC3 reports a bunch of pallets going with communication to a one-story to the south -- confirming that the the Still and Box is activated by 11:02 p.m.
BC3: TL5 assigned to Ashland Ave at 11:05 a.m.
TL10 assigned to from the west on Hubbard to Damen at 11:16 p.m.
Master stream, 3 handlines, main body of fire is in yard and not visible, communication to a 2-story frame 25x60, setting up defensive mode, and propane tanks to the east. Requesting another Tower Ladder at 11:32 p.m. -- TL14 assigned. No Tower Ladder was part of the 3-11, therefore a special request was made for another Tower Ladder. 2-2-4 requesting the hose wagon at 11:34 p.m.
TL14 assigned to Ferdinand from the west -- come down Grand and make a right on Hoyne. Level I Hazmat requested at 11:48 p.m. -- three aerial streams, five handlines, protecting a warehouse exposure on Side C.
Wind SSW at 8 MPH at 11:48 a.m. Exposure fire is out, no fire extension to the propane tank, the main body of fire is out, companies overhauling and checking warehouses on the B and C side at 11:56 p.m.
3-11 ALARM struckout at 12:09 a.m. on orders of 2-1-10. Firefighters washing down final pile of pallets by about 3:15 a.m. All firefighters leaving the scene about 3:30 a.m.
LEVEL I HAZMAT at 11:48 p.m. on orders of 2-1-10. Report of two people shot. One patient transported by A21 to Advocate Christ Medical Center. Report of smoke coming from a second floor window. Quint27 request TL25 while responding. Crew on arrival reports light smoke showing from the eaves. Interior crew reports smoke inside with an activated fire alarm. BC4 reports burnt food, beginning work on ventilation to clear smoke from the house by 10:01 a.m.
Report of a tree on fire behind a house. Island Lake police first on the scene report heavy fire through the roof. Crew on arrival reports fire through the roof of a single-story home. Primary search finds one victim with rescue and Advanced Life Support at the scene. Adult female pronounced dead at the scene. Lake County Coroner and Illinois Office of State Fire Marshal called to the scene. Motorcycle crash with injuries on Route 83 about three blocks south of Townline Road (Route 60). Motorcycle Crash with Serious Injuries at Rand Rd and Winslowe Dr, Palatine Near Walmart. UPDATE: A motorcyclist from Arlington Heights was killed Sunday just before 1:15 p.m. in a crash with a car on Rand Road near the entrance to the Palatine Walmart. Corey Hindes, age 54, was rushed by paramedics with Advanced Life Support to Level I Trauma Center Advocate Lutheran General Hospital, where he was pronounced dead at 7:06 p.m.
Motorcycle crash with possible serious injuries. Report of one person unconscious. Second ambulance requested for extra medics by 1:17 p.m.
A82 transporting one patient to Level I Trauma Center Advocate Lutheran General Hospital in Park Ridge with four paramedics. Second ambulance requested by 4:15 p.m. Patient extricated by 4:19 p.m. Paramedics assessing two patients. E98 crew involved in a hit-and-run crash at Delaware Place between Rush Street and State Street. MABAS Division 2 Box Alarm on Box #1842 for a structure fire on orders of 1801. For engine, truck, chief and change of quarters only ... no divers and no boats. Report that Peoples gas hit a gas main. Several houses on the block being evacuated. BC7 reports that a 2-inch medium pressures line is ruptured; gas company working on crimping the line by 8:21 p.m.
Level I Hazmat secured at 8:51 a.m. on orders of BC7. MABAS Division 4 Box Alarm (Tenders Only) on Box #55-1 for a structure fire. Address is on Shagbark Lane, not Cuba. Report of smoke seen on a security camera. Initial report of nothing showing on arrival of firefighters, but then light smoke showing from the eaves. Interior crew reports heavy smoke inside. Initially a report of a bicyclist that fell in the intersection, but then police learned that the incident possibly involved a battery. One man injured in the head and transported to Northwest Community Hospital. Police were photographing a walking cane and various angles of the intersection and sidewalk in the area. There was no confirmation whether the cane was used as a weapon to assault the bicyclist. One man arrested and transported in custody to Arlington Heights Police Department Headquarters. Report of a house fire. Suspicious fire and one of six other suspicious fires in the Heart of Chicago neighborhood near 21st St.
E49 crew on arrival reports a 2 1/2-story frame is fully-involved, and requests a Stil and Box Alarm. E49 reports they are out of water because they had just put out a rubbish fire on another call -- leading out by 3:36 a.m.
BC4 getting TL34 at Side A. Warning to watch out for wires on Blue Island. Two 2 1/2-inch lines and a ladder pipe working. E39 to alley with a deck gun. Two 2 1/2 inch lines, aerial pipe, snorkel in the rear very good progress on the fire building and the exposure building by 4:04. Total collapse of the building by 4:05 a.m.
Three handlines on Side A, two handlines on Side C, one master stream, Squad 1 on Side C, and the process of setting up the tower ladder by 4:19 a.m.
Fire building is a two-story frame, 25x50; exposure is a 2-story ordinary 25x50 at 2274 Blue Island. Firefighters entering the exposure building by 4:29 a.m. STRUCK OUT AT 5:04 AM on orders of 2-1-27. Report of multiple alley garage fires. Suspicious fires in the Heart of Chicago neighborhood near 21st St. -- all within a 4-8 block area. BC4 reports another garage fire on 21st Place at 3:35 a.m. -- requesting a fourth engine. BC4 reports three garages burning spanning a two block area. BC4 reports at 3:13 a.m. they had three garages totally involved with communication to a fourth garage. BC4 reports fires were involved at a total of four garages -- 1803 21st St, 1816 21 Pl with communication to 1818 21st Pl and 1715 21 St.
Report of a garage fire. Suspicious fire and one of six other suspicious fires in the Heart of Chicago neighborhood near 21st St.
E109 crew on arrival reports they have a garage fire. Ambulance called to Leavitt 3:14:14 AM. BC15 reports they have a 20x20 garage an are working overhaul by 2:47 a.m.
BC15 reports two lines on the fire; overhaul in progress by 2:51 a.m.
BC15 reports the garage was connected by a breezeway to a 2 1/2-story frame, 25x75, with light extension of smoke into the house at 3:04 a.m.
BC15 reports at 3:11 a.m. that a victim was found in the basement of the house -- initially conscious. Ambulance requested to alley on Leavett between 21st St and 21st Pl by 3:14 a.m.
BC15 reports at 3:17 a.m. primary and secondary search complete and negative. CPR in progress on victim at 3:17 a.m.
BC15 reports T32 and TL5 are ventilating the 2 1/2-story frame. EMS: A65 FC ?? STANDBY A ?? CTA reported smoke and an explosion in the subway on the northbound side of State Street. Mobile Ventilation Units 9-2-1 and 9-2-3 assigned. Still-and-Box Alarm struck out at 1:47 a.m. on orders of 2-2-1, reporting there was arcing from the shoe of a passing train. A CTA work train is still at the station, and there have been no more reports of any arcing or smoke. Report of a house fire. Corrected address 539 North Spaulding Avenue -- a 2 1/2-story ordinary, 25x50. BC18 reports a 2 1/2-story ordinary vacant with heavy fire on the second and third floor. Firefighters going defensive; no exposures at this time. Two 2 1/2-inch lines on the fire. BC18 reports SQD2's snorkel working. Crews protecting an exposure on the Delta side. Report of a crash with injuries involving a rollover into a ditch and one person trapped. Second ambulance requested by 12:58 p.m.
E54 crew on arrival reports a 2-story ordinary with a fire. BC19 reports A 2-story ordinary with a fire on the second floor, with two lines on the fire, aerial to the roof by 2:52 p.m.
Water on the fire, roof is ventilated, aerial to the roof, ladder to the A-side, primary search negative, no exposure problems by 2:57 p.m. Going defensive at 3:13 p.m. -- all companies out of the building. EMS Plan 1 at 3:15 p.m. on orders of 4-5-8. EMS Plan 1 at 3:19 p.m. secured on orders of 2-25. EMS Plan 1 at 3:15 p.m. and secured at 3:19 p.m.
SQD1 crew on arrival reports they have a rollover by 12:23 p.m.
SQD1 crew reports by 12:25 p.m. they have one patient out of the vehicle and need traffic control. Report that a construction crew hit a gas line. E13 reports a high pressure gas rupture; requests closed down from Washington to Madison. Wabash CTA train tracks need to be close. Tracks are right above incident. 5-1-1 requesting El tracks be shut down immediately by 11:24 a.m.
CTA elevated service shut down as precaution against sparks. All.cta using Wabash elevated is shutdown. Gas still escaping CFD monitoring buildings advised to shutdown air intake systems. 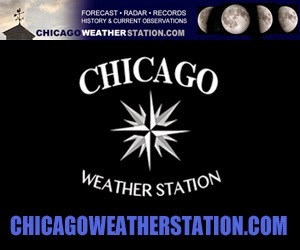 2-1-21 reports a 3-inch medium pressure gas rupture in the middle of a CTA construction project on Wabash. Checking readings east and west of rupture. Also getting some reports of smell of gas in the buildings nearby -- "addressing that now." Command is at Washington and Wabash. Gas shut off by the gas company by 11:57 a.m. Gas line severed was a 3-inch feed to one of the buildings. WIND NW 1 MPH at 11:48 a.m.
2-1-21 reports E13 crew has a standby line dropped, "we've cordoned off the area" and have had the building engineers nearby shut off their ventilation systems. Standing by waiting for Peoples gas to arrive. Staging set at State and Washington by 11:49 a.m.
Level I Hazmat secured by 11:57 a.m. on orders of 2-1-21. Companies will check for safe readings in the area and then release the hold on the CTA trains by 11:57 a.m.
CTA train tracks re-opened about 11:59 a.m.
TRUCK(S): T6 T ?? TL ?? BC22 reports a commercial structure, 100x100 involved. BC22 least three medical refusals. Possibly one patient transported Code Yellow. Companies clearing up glass in the entryway of the building. A7 crew on arrival reports one vehicle vs a light pole with one person inside the vehicle. An AT&T phone box was also "taken out" on Devon Avenue just east of Arlington Heights Road. AT&T notified. Report of smoke in a high-rise building. E14 crew on arrival or passing by reports smoke showing coming out of an overhead door area in an 8-story residential building -- ordinary construction. Corrected address of 1220 West Van Buren Street, where smoke was coming from a machine. TRUCK(S): T ?? T2 TL ?? Rescue of a female off of a roof. MABAS Division 20 EMS BOX ALARM on Box #199 for a multiple-injury crash. One additional ambulance requested -- River Grove assigned. EMS Box Alarm struck out at 3:57 p.m.
One vehicle with moderate damage and one vehicle with minor damage, but several patients that need assessment by medics. Second ambulance requested -- BC5 and A53 assigned. Third ambulance requested at 2:23 p.m. or part of a re-route for another call? Report of a fire in a high-rise building. Initial report indicates fire was caused by a kitchen microwave incident. T3 request a Still and Box and EMS Plan 1 for a fire in a high-rise. The fire is out by 10:30 AM on the 18th floor. High-Rise Unit 6-4-16 also responding. EMS Plan 1 secured by 10:46 a.m. on orders of 2-1-12. Holding the Still and Box in place while firefighters check sprinkler heads and ventilate. TRUCK(S): T ?? T19 TL ? ?